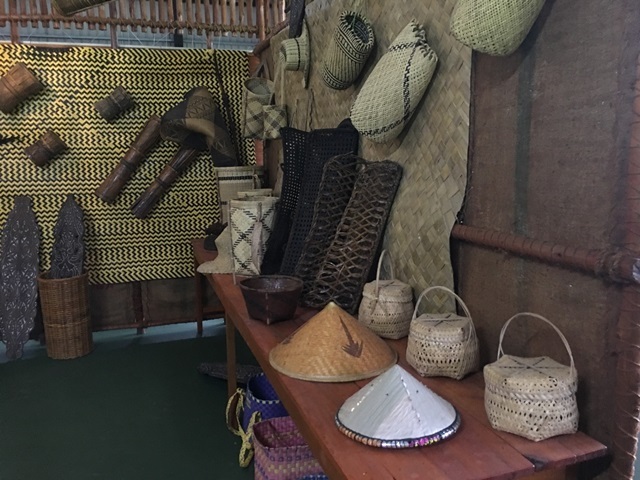 Borneo Happy Farm is the new addition to tourists' attractions in Sarawak which had recently open its door to visitors last year. The farm is located near Moyan Square,Batu Kawa-Bau which is about 45 minutes’ drive from the city center. You can easily find the location of this farm on the internet. It is recommended to use Google Map instead of Waze because Waze will direct you to a totally different location. This place spans of over 130 acres of land that is surrounded by the greenery. Based on their website which is, borneohappyfarm.com, their concept is to create awareness of nature conservation, green ecology, local cultures, traditional foods and health regimens. Besides that, Borneo Happy Farm also focuses on agriculture, forestry, animal husbandry, aquaculture, and leisure and healthy lifestyle. The farm is a little bit far away from the main road so brace yourself with the bumpy road along the way to get there. 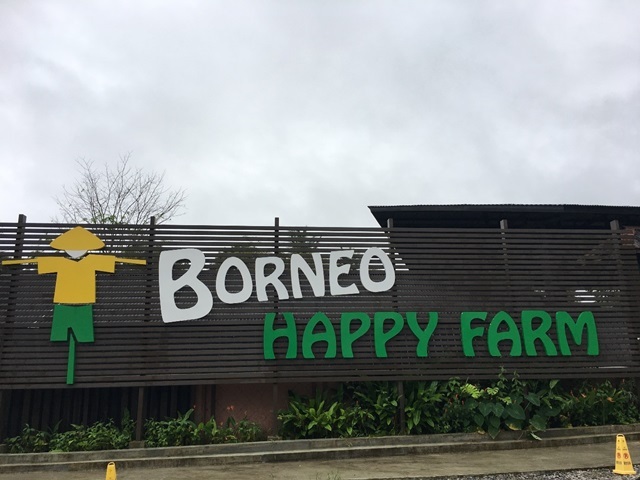 The big signage of Borneo Happy Farm at the main entrance welcomes you. The best part about this place is it opens every day including public holidays from 8:00 a.m. to 5:00 p.m. 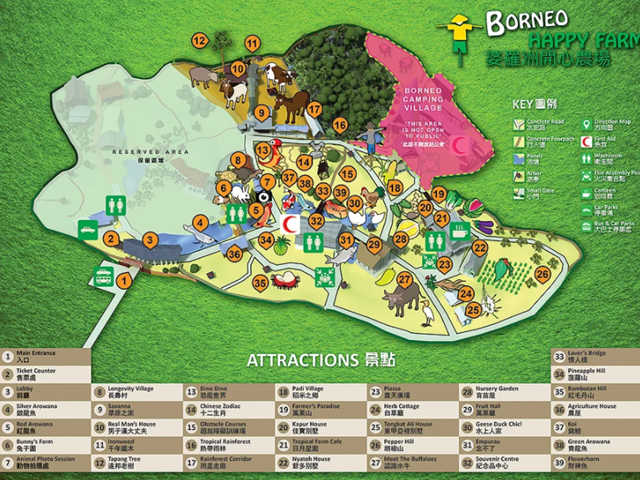 So, you don’t have to worry when to visit the newly opened Borneo Happy Farm. 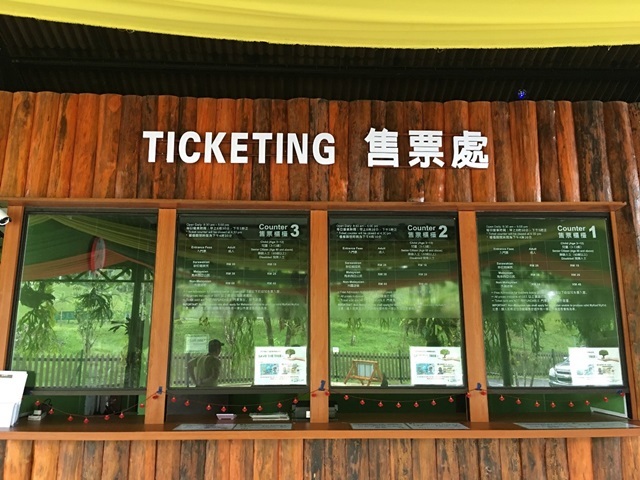 But, please take note that the ticket counter will be closed at 4:30 p.m.
Borneo Happy Farm ticketing counter at the main entrance. 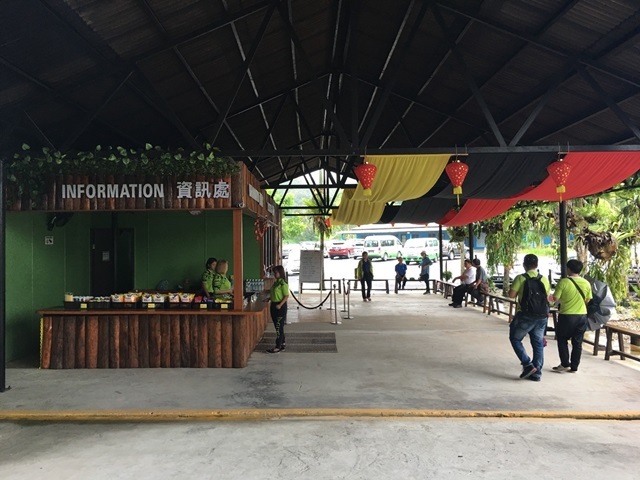 The lobby at the main entrance of Borneo Happy Farm. 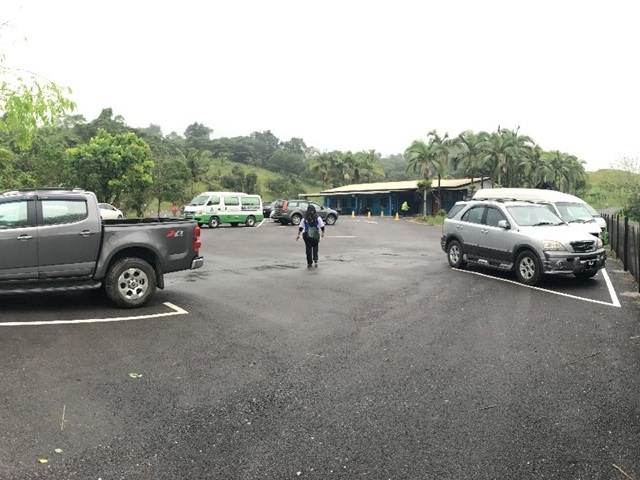 Wide parking space for all Borneo Happy Farm’s visitors. You will be given a printed map of the farm together with your entrance ticket. The map will help you to know the place better and you can use it to guide you throughout your visit. You can refer to the map, on which place to visit according to the number. Borneo Happy Farm is one of the place for you to learn about the nature and its wildlife. It is very convenience for us to learn as they have provided the first ever automated voice over system in Sarawak throughout the farm. 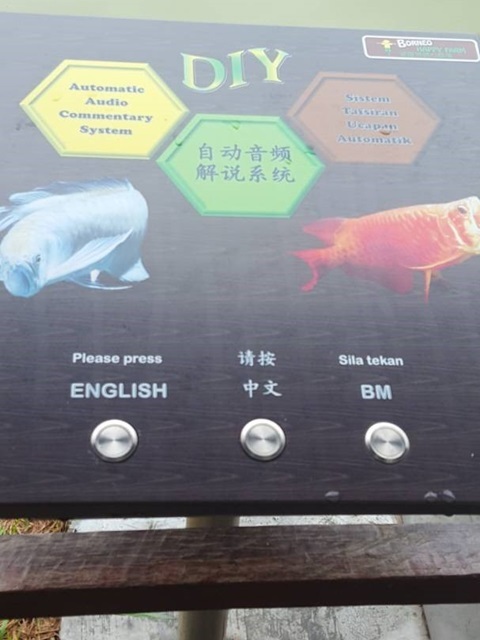 Visitors can just press the buttons to hear explanation of the attraction in English, Bahasa Melayu or language they have selected. Besides that, they also put as much information on board for every attraction. Other than that, you can enjoy the attraction while collecting stamps at each points. At the back of the entrance ticket, there is a space for you to stamp your point. They have a different stamp for each stop which it can be very fun especially for kids. 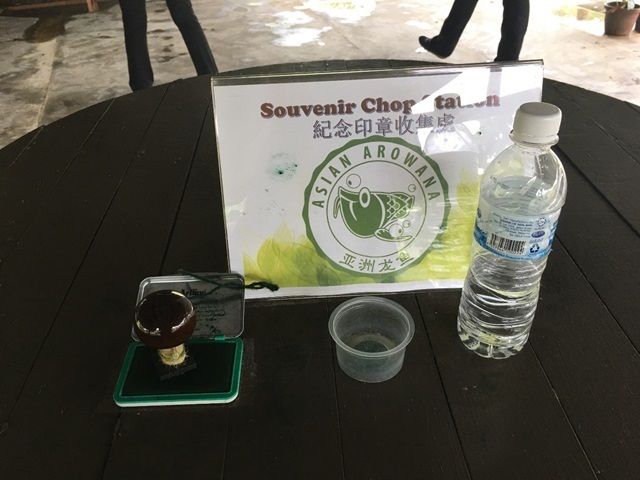 Stamp station at Asian Arowana attraction point. Automated voice over system throughout the farm. 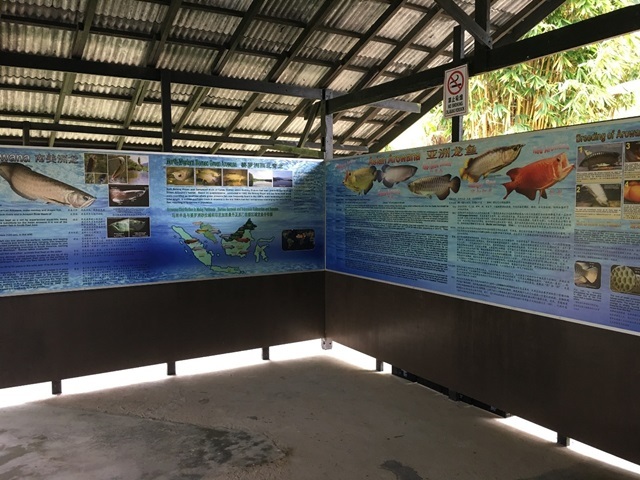 Once you have settle down with your ticket purchase, you can make your way to the lake where there are farm’s freshwater fishes that includes Silver Arowana, Red Arowana and Empurau. These fishes are rare and valuable Asian Arowana. More information about the fishes on the board. 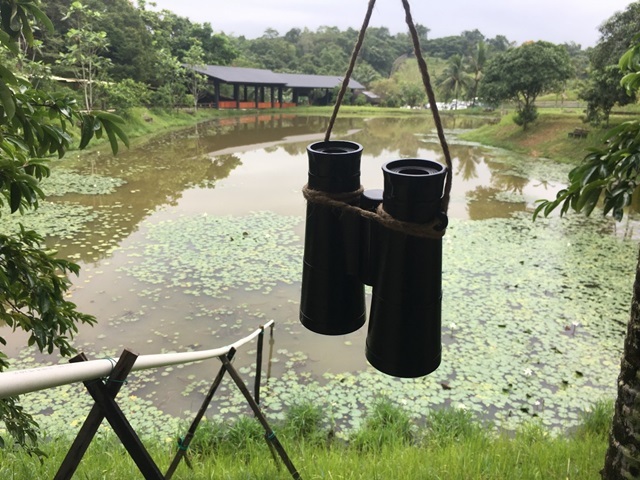 Binoculars are provided for visitors to see the fishes – feel free to use them. Other than that, the next attraction in this farm is Bunny’s Farm. For those who loves rabbits, this is definitely your favourite stop in this farm. Not only they have rabbit, they also have guinea pig in the same bunny pen. 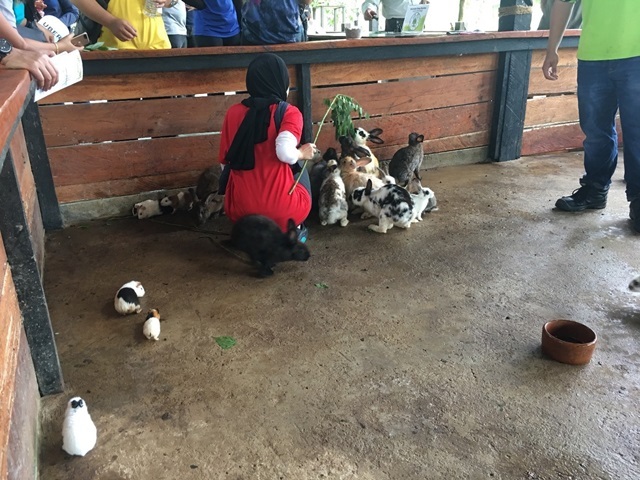 You will have the chance to go inside the bunny pen to pet and feed them. However, they only allowed maximum 8 people to enter the pen. 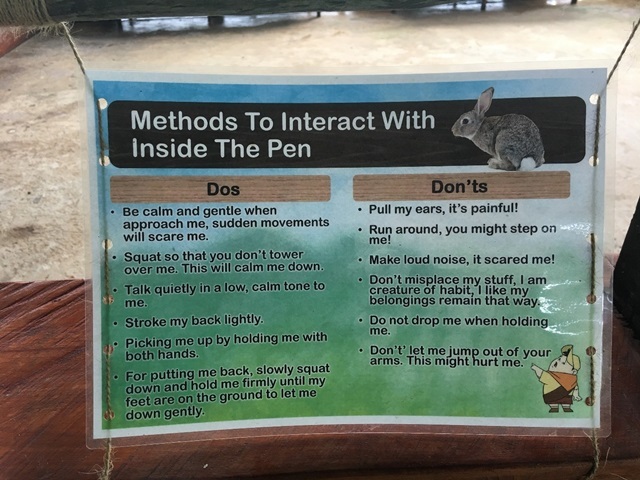 The Do’s and Don’ts for interacting with the animals inside the pen. One of the visitor is feeding the rabbits. 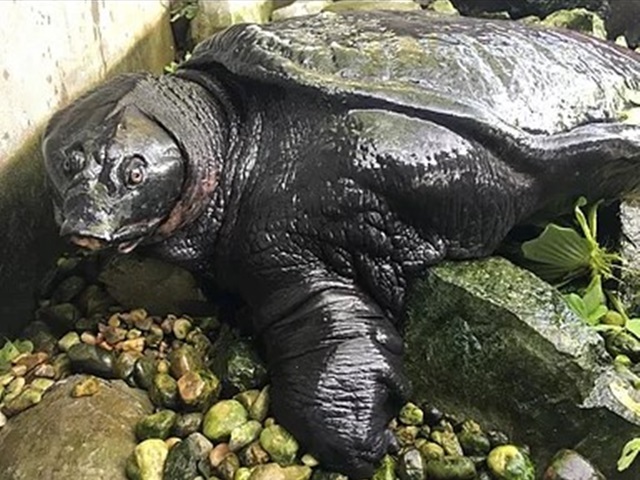 Besides that, there are tortoise and soft shell turtle at the next stop which is Longevity Village. Those are raised in the farm for educational purpose. In here, you can touch, pet and feed them but please be reminded to follow the do’s and don’ts. You also will learn about the different types of turtles and tortoises. 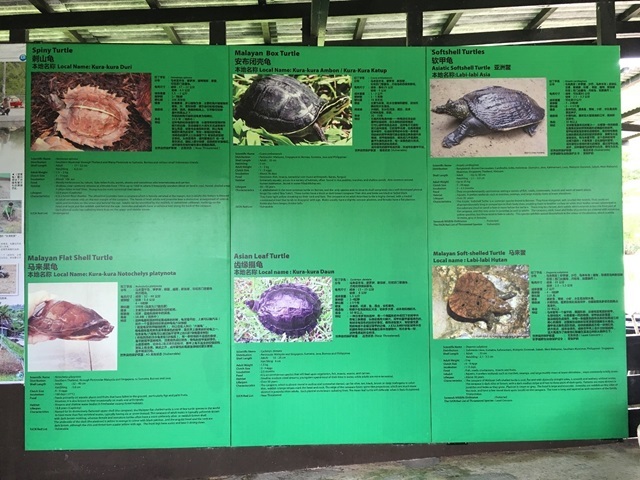 Information on different types of turtles. 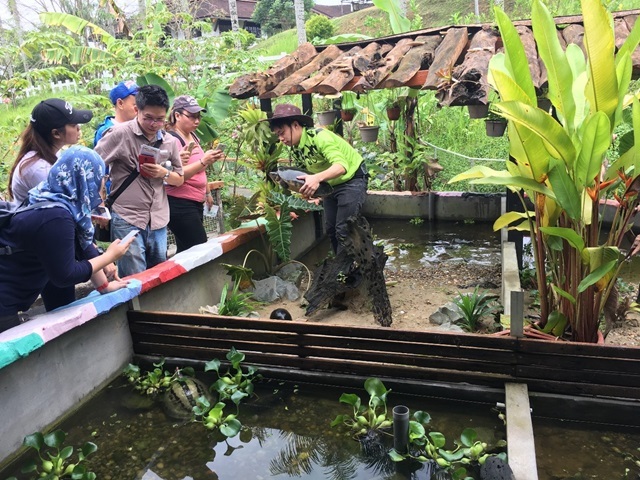 The guide is showing the turtle to the visitors. 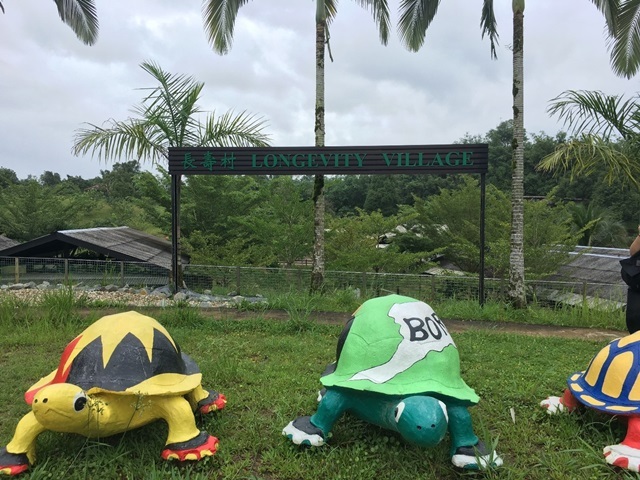 Longevitiy Village with the colourful painted row of turtles display. 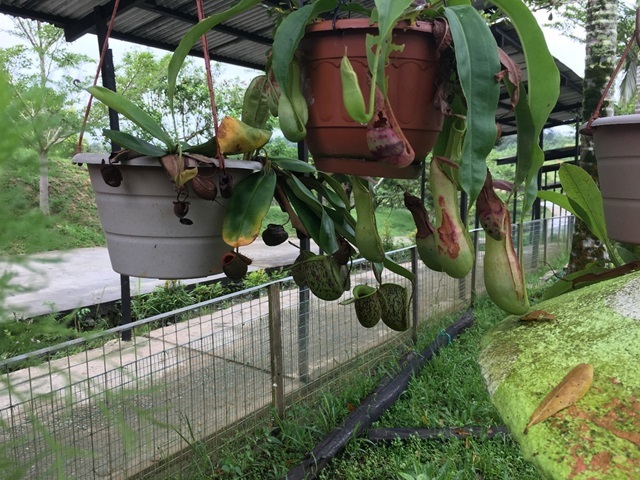 Pitcher plant or also known as Periuk Kera at Longevity Village. 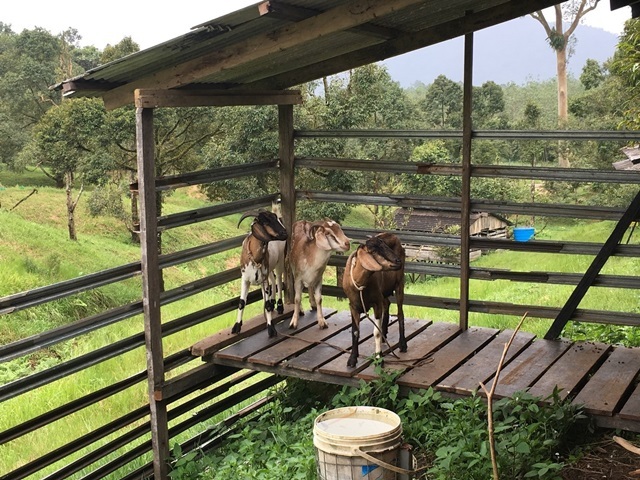 Besides fishes, tortoise and rabbits, they also have other animals such as goats, sheep, dairy cows, calves and horses at the next stop which is Savanna. When you enter Savanna, you will be entertain by the view of Mount Serembu. Breath-taking view of Mount Serembu. Savanna is the place for the herbivores, where it is a green grassland paradise for them. This is where you can stumble across these animals eating the grass, if you are lucky, you can see them running around the field. Three goats in the corner, they are a little bit scared of people. They called him Bobby – he loves wagging its tail like a dog. Cows can be seen on our way out of the farm. 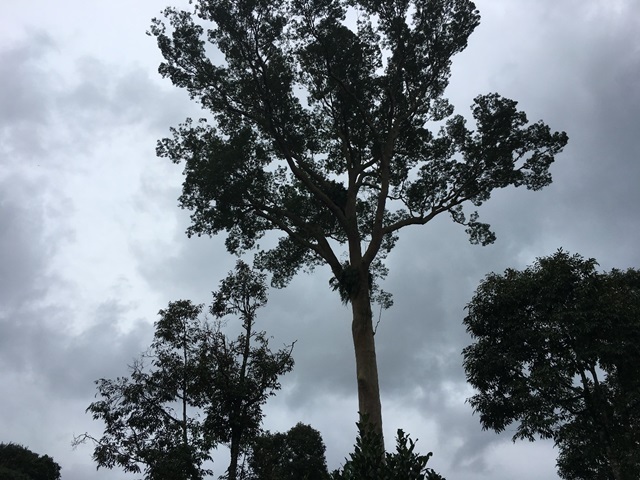 Tapang Tree, the oldest and tallest tree can be found in Borneo Happy Farm. 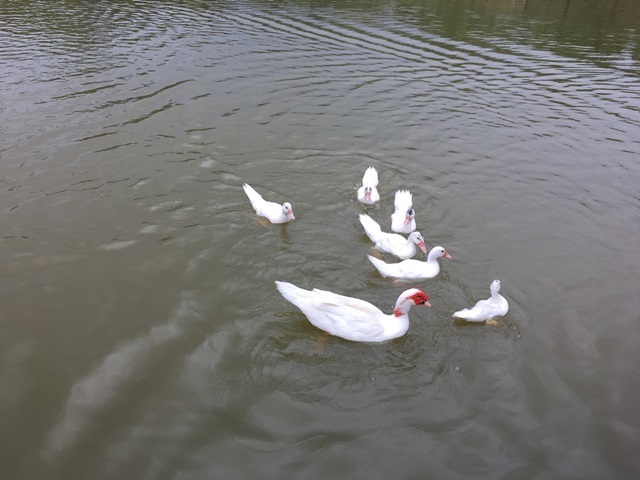 There are also a place for duck, goose and chicken in the farm which is called Geese Duck Chic. 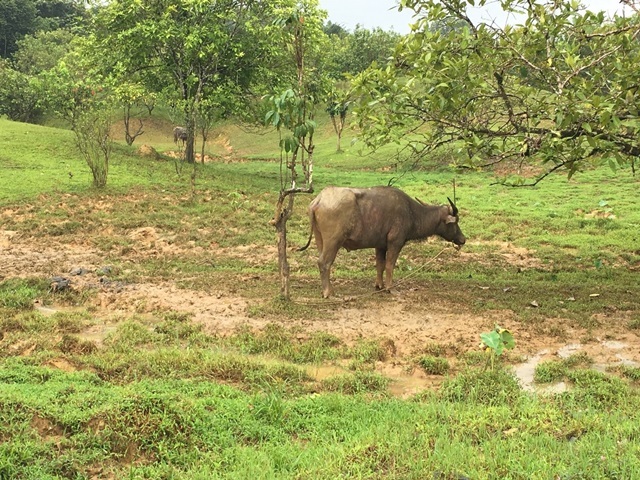 They are released freely to walk all over the area and the visitors can feed them with the food that is provided by the staff. You also can go to Tropical Rainforest Trail which have 3 routes and is 600 meters long. Throughout the journey, you can see experience the beauty of reserved rainforest and if you are lucky, you might see wildlife along the trail. Please do ask for guide before you enter the trail as it might be dangerous to go alone without the park rangers. 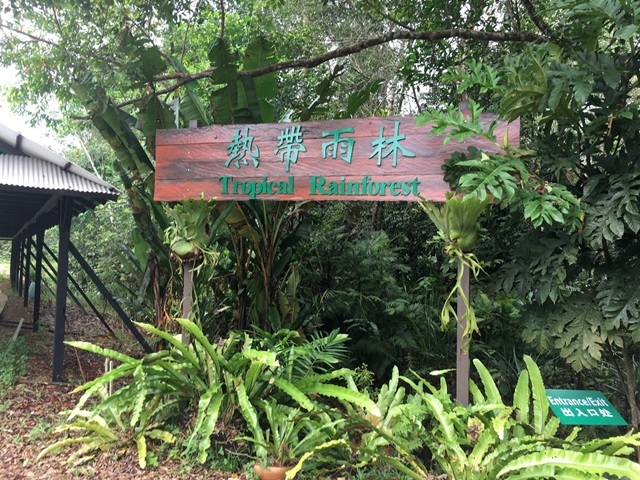 The entrance of Tropical Rainforest Trail. 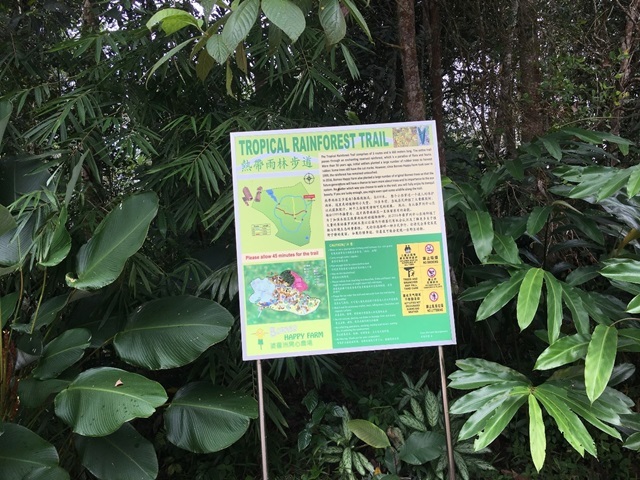 Notice sign next to the entrance of the trail – advisable to read them first before enter. 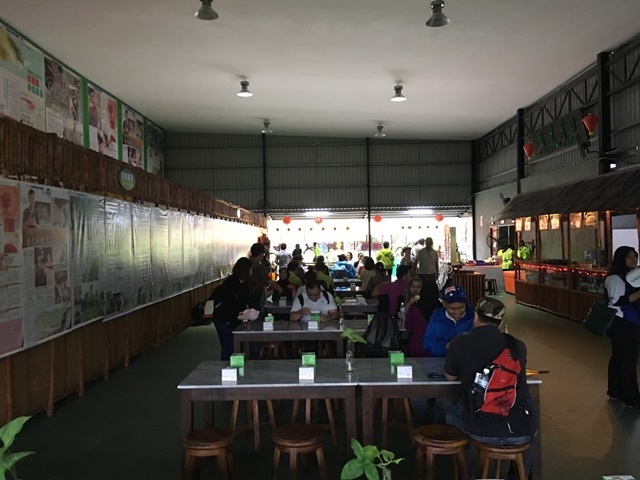 Do not worry about food, there is a canteen in the farm, Tropical Farm Café where you can sit and relax while enjoying your meal. 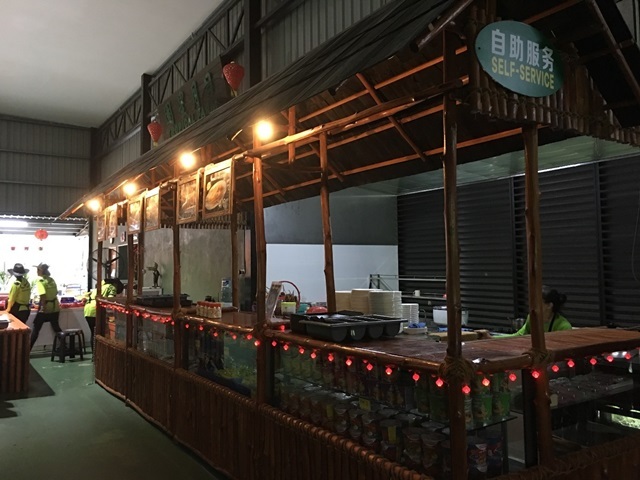 The canteen is based on a self-service concept. You can order and pick up your food at the counter. They also have provided the cutlery return station. They serve variety of food, hot and cold beverages and snacks. 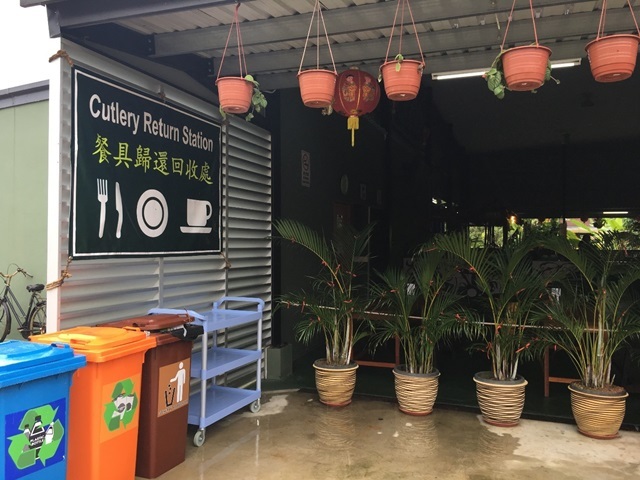 The cutlery return station at Tropical Farm Café. 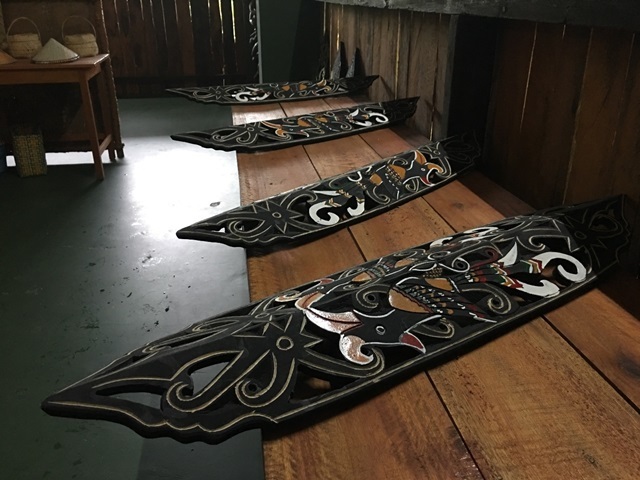 Just next to the café, there is a Food and Handicraft Gallery where they have different type of food and handicraft of different cultures in Sarawak. 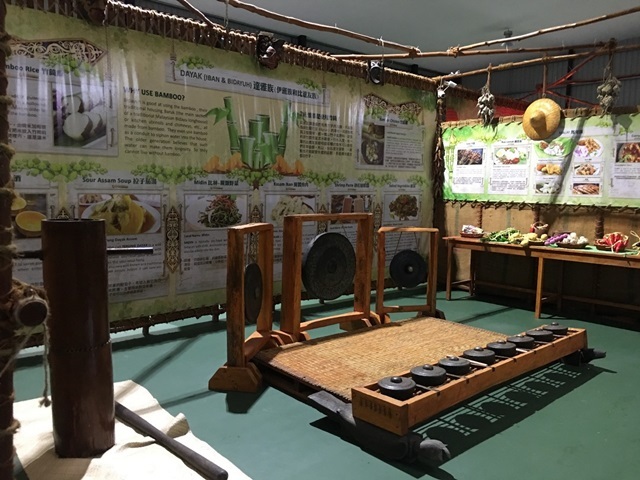 You can play with the equipment display and feel free to take photos with them. 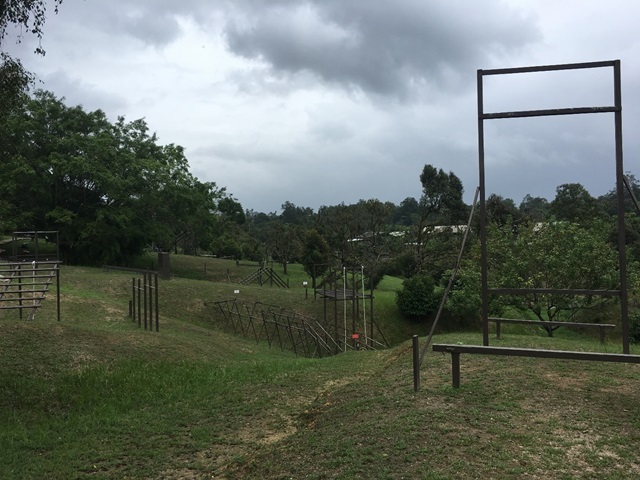 Other than that, Borneo Happy Farm is also suitable for team building activities as they have rock climbing, flying fox and more. For the safety purpose, the activities will be held according to the age of participant. 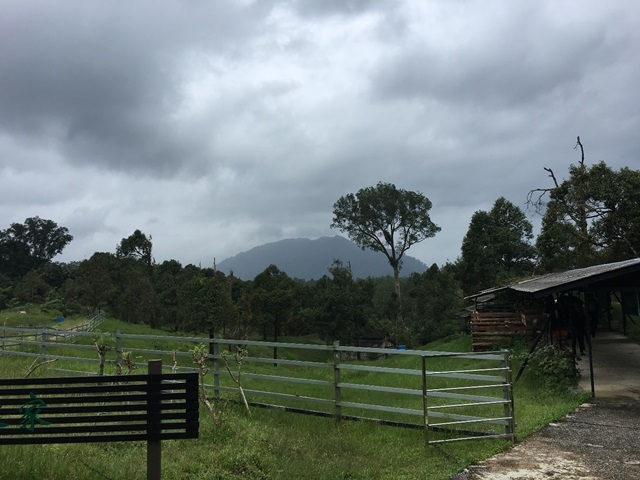 Borneo Happy Farm is a great place to visit especially when you are coming with families. 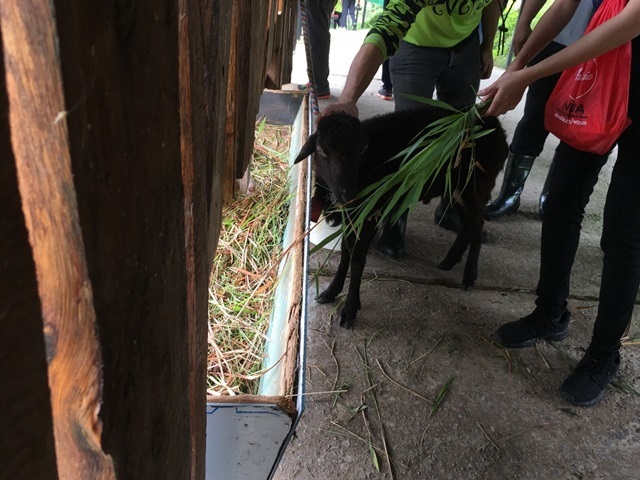 You can get the chance to interact with the animals and you can learn about the nature. 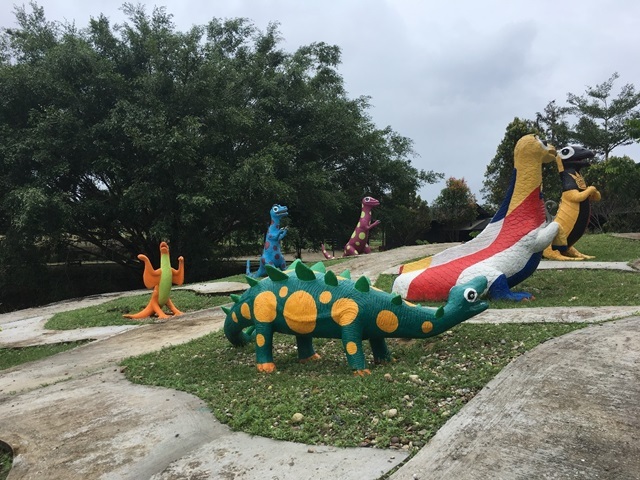 There are many pretty spots to take pictures such as Dino Dino andLongevity Village.But, please keep an eye on your kids if you bring them along as it can be dangerous for them to run around with the lakes all over the place. When visiting, please watch out for your steps as the path along the farm can be very slippery. 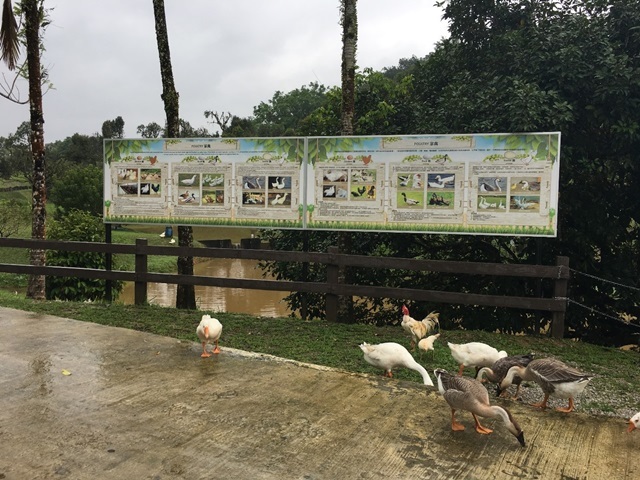 Since the farm is an outdoor environment, prepare your visit according to the weather forecast especially when it is raining season. Dino Dino, a great place to take pictures with the beautiful colourful dinosaur statues. 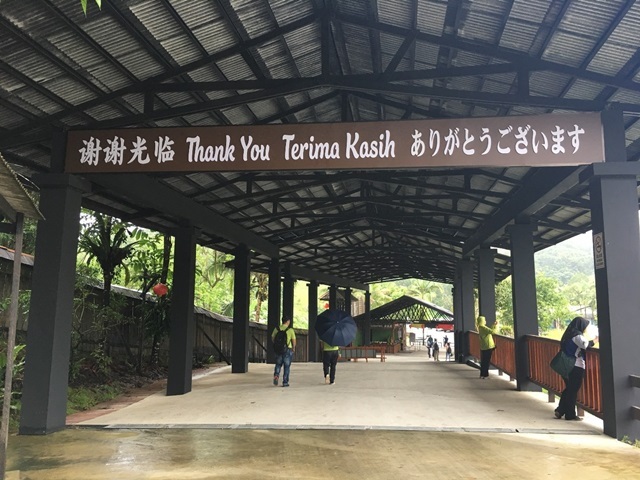 The exit to the main lobby of Borneo Happy Farm.